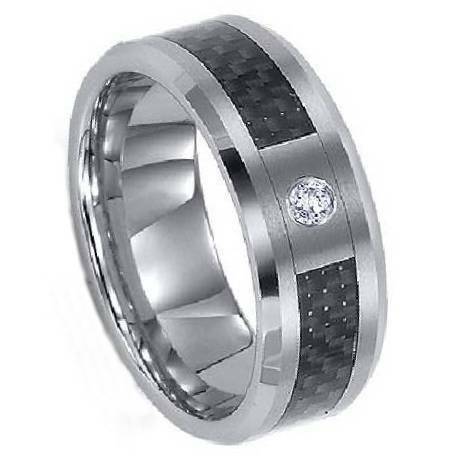 A brilliant round-cut cubic zirconium gemstone is the focal point of this 8mm beveled edge men's titanium ring. Classic, clean lines and a polished finish add to its eloquent look, which also features a black carbon fiber inlay. 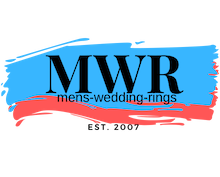 Smooth beveled edges give it a dressier look among men's contemporary rings. . This ring is an excellent example of today's stylish alternative wedding bands!